AARP Minnesota is dedicated to enhancing quality of life for all as we age. We lead positive social change and deliver value to members through information, advocacy and service to make life better for all as we age. 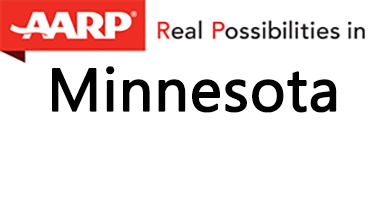 AARP is a non-partisan, nonprofit organization with over 655,000 members in Minnesota. AARP Minnesota will host this live Telephone Townhall with Minnesota Governor Tim Walz and Lt. Governor Peggy Flanagan to discuss their key priorities for the remainder of the legislative session – especially legislation to protect vulnerable and older adults from abuse in assisted living facilities. You’re invited to join the call with AARP members across Minnesota to pose questions on issues important to our age 50+ community. Event will be moderated by Will Phillips, AARP MN State Director.